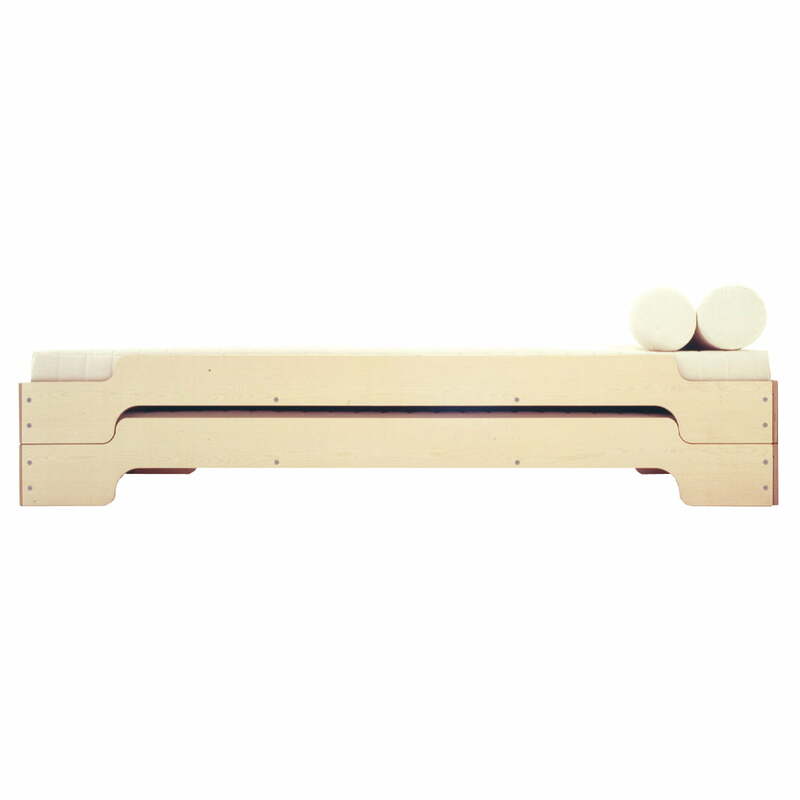 This Rolf Heide Stacking Bed design was originally created in 1966. 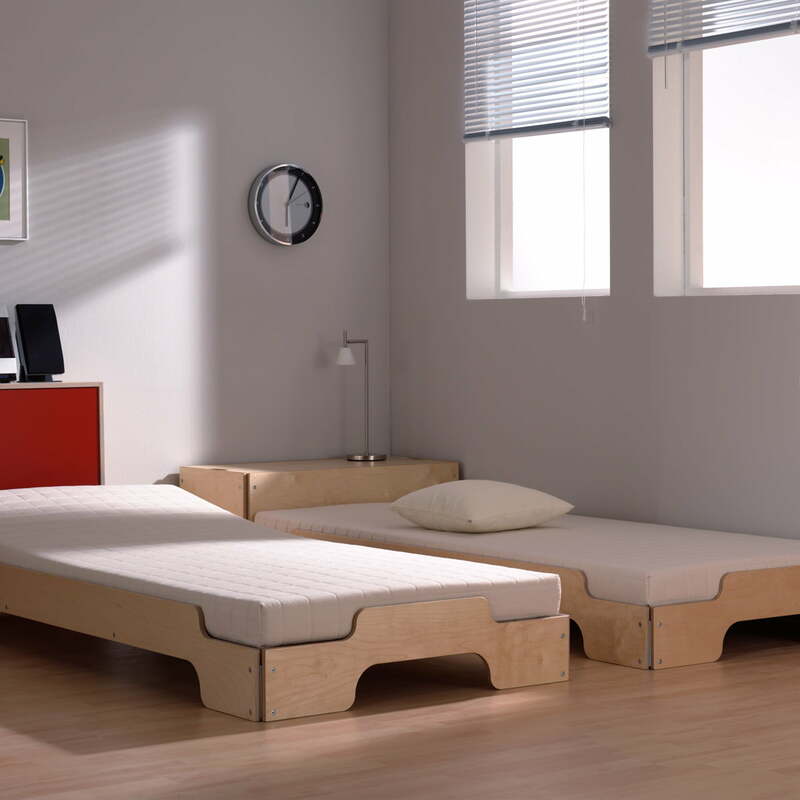 The demountable stacking bed is extremely space saving because various elements can be easily stacked. This couch brings Rolf Heide’s design credo to life in a fantastic way: simple materials are combined in an astonishingly logical way, and keep their typical quality thanks to a genius idea: in this case through bold lateral roundings. The environmentally-friendly layer wood, which the Stacking Bed from Müller Möbelwerkstätten is made of, is superior to solid wood in its strength which makes this piece of furniture especially stable and long-lasting. The birch wood variants offered here are outstanding in bright interiors. Suiting the timeless design of Rolf Heide, there are a considerable assortment of accessories for the Stacking Bed, including slatted frames, bed storage boxes, aluminium buffer storage, mattresses or bolsters. The Stacking Bed can come with a comfortable height (50 cm stacked) and in special dimensions (width: 80/120/140 cm; length: 210/220 cm).